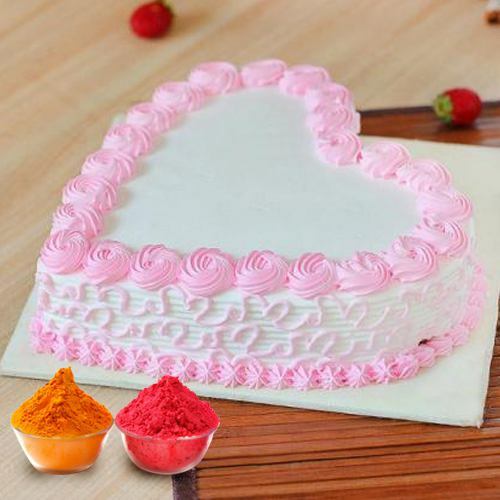 IndiaFlowersGifts.com - Place your order for Fresh Baked Heart Shaped Cake Filled with Soft Creams from top local bakery in the city with free Gulal/Abir Pouch. Fresh Baked Heart Shaped Cake Filled with Soft Creams from top local bakery in the city with free Gulal/Abir Pouch. Fresh Baked Heart Shaped Cake 1 kg. Filled with Soft Creams from top local bakery in the city with free Gulal/Abir Pouch.